Ruddocks are hiring! We are currently recruiting for a Print Finisher to work from our premises in Lincoln. 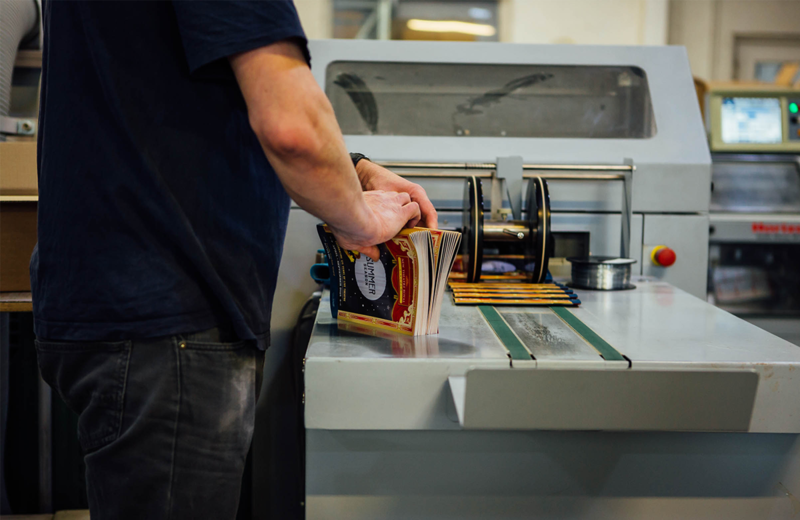 The primary purpose of the role is to operate a variety of specialist print finishing equipment, ensuring high quality standards are maintained at all times. You will be working within a busy department and will be required to liaise with the Finishing Manager/Supervisor to ensure work is completed on time and to the job specification. Ruddocks are an award winning, integrated design and print agency. Delivering creative solutions since 1884. Specialising in brand, bespoke print, digital and distribution for many of the UK’s leading brands including Macdonald Hotels, The Scouts, British Steel and the University of Lincoln. People are at the heart of our family run business and the successful candidate will be an integral part of the team. Everyone is hardworking, continually pushing to be the best and ensuring we always deliver on all of our promises. We were one of the first organisations to sign up to the City of Lincoln Council's social responsibility charter which recognises star employers who do the best by their staff and the wider community. We value the contribution of our team and that is why our current average length of employment is over 10 years. As a business that combines full lithographic, digital and large format production facilities alongside a full service design agency we offer great opportunities to continually develop and grow. •	Develop personal skills and capability through on-going training, as provided by the company or external providers. Experience of operating finishing machinery (specifically perfect binder, laminator, folder and/or guillotine) would be beneficial but not essential. Full training will be given to the right candidate. •	The role is a permanent contract position based on a 25 hour week over 5 days, between 6:30am – 9:15pm. •	We pay the Lincoln Living Wage as a minimum.